Take a look at this piece of land. Nice, right? But all in all, really nothing too spectacular. 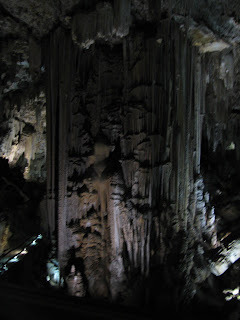 ......5 kilometers of caves just below the earth's surface in the seaside town of Nerja, Spain. 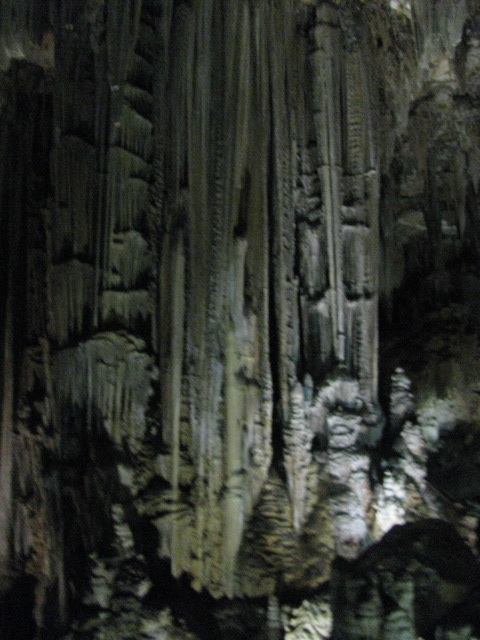 As we walked through the caves, marveling at how a simple process like dripping water could have created these galleries, it was almost a spiritual experience. We, like the other tourists, found ourselves whispering as we walked through the caves as if we were in a holy place deserving our respect. It was truly amazing. I wish our photos did the Caves justice....but the camera just could not capture how truly awesome they were. Definitely looks like a place worth visiting! 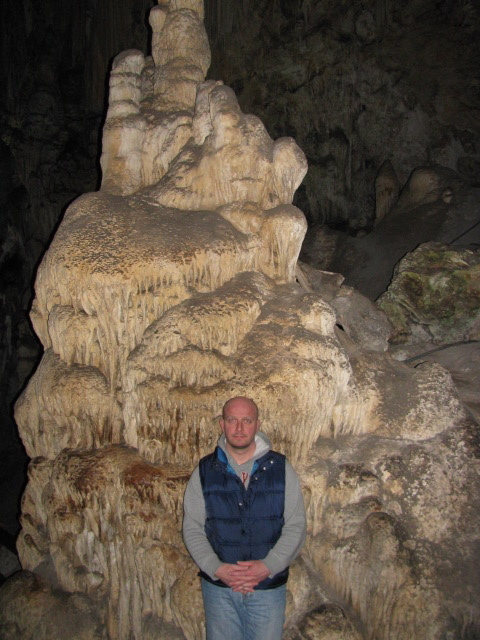 I love caves! When I was young (and probably stupid) I really wanted to go spelunking but because it required a parent to accompany you (because yes, I was *that* young) and my parents were older and far wiser, I never realized my dream of dangling by a rope over a black hole with no discernible bottom. Now that I'm older, wiser and have a healthy overabundance of acrophobia (fear of heights), it'll never happen. But I still love caves! Wow, beautiful! I'd love to travel with you Kelli, I think it would be a fabulous experience, you aren't just the lay on the beach type- I love that!!! I really would like to explore more caves. I've been to Cuervas de Camuy in Puerto Rico & Mammoth Cave in Kentucky, on both occasions it was summer, but loved the cool comfort.